Despite Xi’s pledges of reform, the courts will remain a tool for the Party. 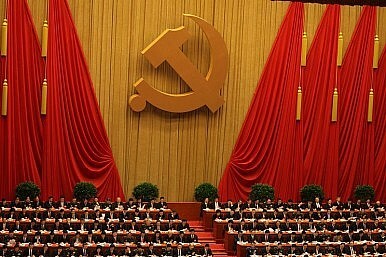 Importantly, though, Xi’s ideal judicial system is also “socialist” — in other words, controlled by the Party. The theme of Xi’s speech was the need to strike a balance between “stability and people’s interests” and “vitality and order.” On the one hand, the Party will never give up its control over the legal system, lest this lead to a collapse of the one-party system. On the other hand, however, the government recognizes that there is a need for a court system that is seen as providing an impartial application of the law. “People’s demands for their lawful interests must be properly handled … The position of the law in solving conflicts should be strengthened,” Xi said. In reforming the justice system, Xi walks the same balance as in his anti-corruption drive. He wants to address public complaints over a broken system without significantly changing the way the system works. It seems, in effect, that the reforms for the courts will be initially an extension of the anti-corruption campaign. Xi demanded the officials be held responsible “for any interference in the judicial process” and insisted on an end to “power abuse, wrongful judgments” and other evidence of corruption in the judiciary system. Specific reforms are already underway. Stanley Lubman, author of The Evolution of Law Reform in China: An Uncertain Path, wrote for the Wall Street Journal that Chinese courts are working to increase their transparency, posting “judgment documents” online and using social media to broadcast corruption cases. However, the bottom line remains the same: the courts are a tool for the Party. Transparency with the end goal of decreasing corruption is one thing; releasing Party control of the courts is another thing altogether. “All political and legal workers should maintain absolute loyalty to the Party,” Xi said. This same ideology was at work in 2012, when China created a new requirement for lawyers to swear an oath of loyalty to the Party before receiving their licenses. This sends the clear message that the Party controls the law, not the other way around. “Ensuring social stability” remains the major priority for China’s leaders. Xi called it “the basic task of the country’s political and legal work.” In actuality, ensuring social stability usually boils down to protecting the interests of the Party. Yet as Xi knows, without a functioning judicial system to ensure the rule of law, social stability is in jeopardy. Thus, as in many other areas, the Party seeks reform to the extent necessary to keep China stable — and not an inch further. Could China's 'Rule of Law' Lead to Constitutionalism? Official proclamations about the Fourth Plenum include intriguing references to limiting political power.